Over the years, many people have expressed concern to us about buying a shuffleboard table online. 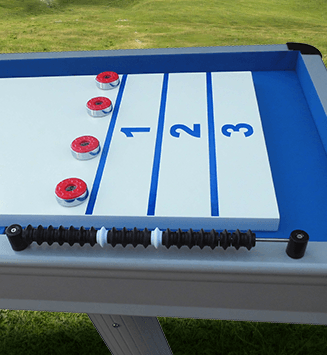 In fact, purchasing a shuffleboard table from eFamilyFun is far easier than buying from a store. 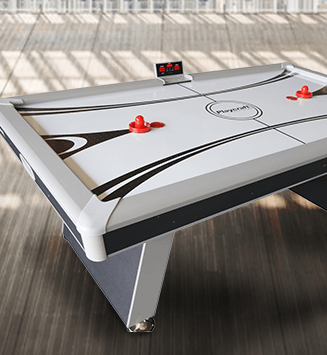 Buying shuffleboard tables at eFamilyFun allows you to research each brand, compare reviews, and accurately match the style to your existing decor. From high quality economy models to top of the line pro tables with poured polymer surfaces and electronic scoring, we feature shuffleboards suited for any budget and game room. Please browse our extensive selection to find your ideal shuffleboard table. 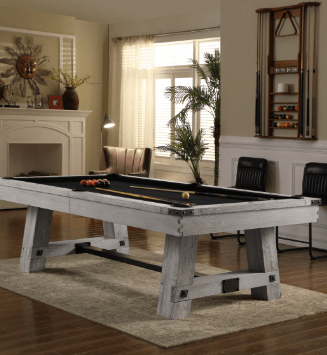 We carry several shuffleboard tables of varying lengths to fit any space, so please remember to measure the room for your table before ordering. 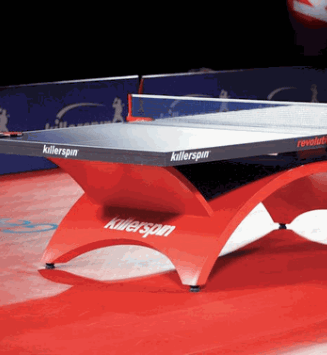 Factor in extra space (about 3 feet on each side) for movement while enjoying the game with family or friends. 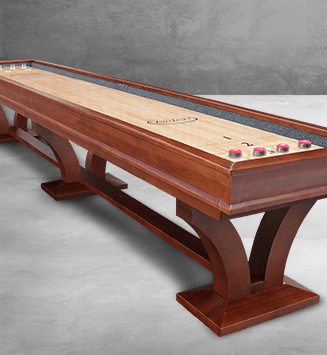 All shuffleboard tables arrive unassembled with a base shipping option of curbside delivery. However, eFamilyFun is unique in that we offer additional shipping and assembly options to suit your particular needs and budget. Every shuffleboard table we ship is protectively packaged and crated, providing for the safest transport from the warehouse, to your home. Should you encounter any questions during your search, our friendly experts are standing by, ready to help. Please enjoy your shopping experience at eFamilyFun. We are certain that you will find your perfect shuffleboard table.